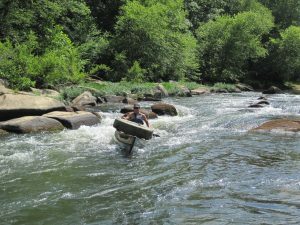 Join Friends of the Rappahannock (FOR) for a River Cleanup this year! Litter comes in all shapes and sizes from mico-plastics we cannot see up to abandoned cars and port-a-johns! We find tires, shopping carts, bicycles, grills, lawn chairs, and a myriad of other lost or discarded items all over the watershed. This stuff is generally easy to find but takes time, effort, and money to clean up. These items are carelessly discarded out a window, on a sidewalk, or even off of a bridge right into the Rappahannock River. This is an epidemic that is poisoning our waterways threatening our drinking water supply and making them unsafe for swimming, fishing, paddling, and other recreational pursuits. Our River Cleanup program encourages groups of all kinds and sizes to work with FOR to organize a River Cleanup in our community. This can be on a local stream, in a public park, or as a paddle cleanup down the Rapidan or Rappahannock River. We can supply all the equipment and trash bags, find a cleanup site, and even reserve dumpsters and trucks to remove collected trash and debris. Do you see an ugly pile of trash near a creek, stream, or river in your neighborhood? Maybe there is a parking lot that always seems to have trash in the corner near the storm drain? This leads right to the River! Let us know so we can work with our partners and volunteers to take action! If you are interested in organizing a River Cleanup in your neighborhood or know of a spot in the Rappahannock River Watershed that needs a cleanup, please use the form below to contact Bryan Hofmann. He can also be reached at 540-373-3448 ext 112. All participants must complete and submit a signed Waiver. If you are a group leader please make sure all your participants have signed waivers prior to leaving for the event. 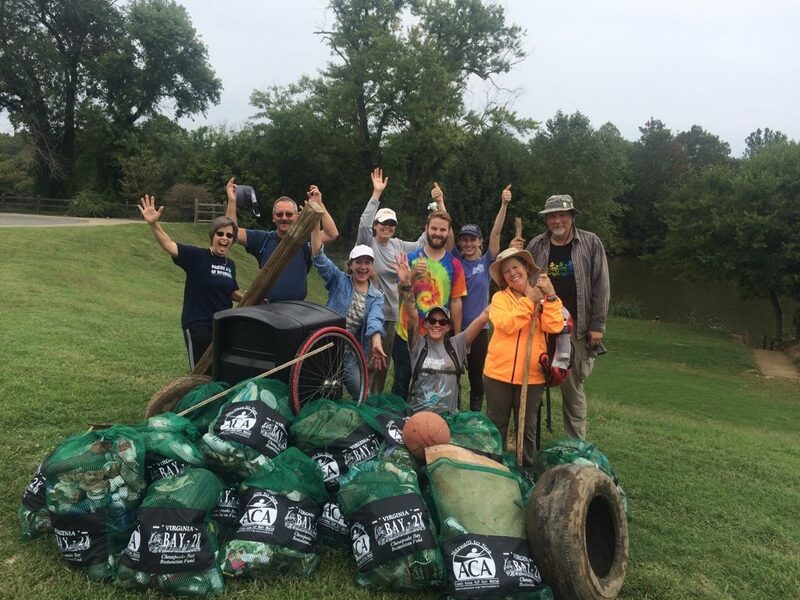 We are very pleased to be partnering with The City of Fredericksburg, Stafford County, Keep Virginia Beautiful, the American Canoe Association, Virginia Outdoor Center, River Rock Outfitters and the Rappahannock Regional Soild Waste Management Board (R-BOARD) for our 2017 River Cleanup Program! Contact us if you would like to sponsor an event! Thank you to Rappahannock Electric Coop, Giant Foods, and Cliff Bar Family Foundation for supporting our River Cleanup Programs.